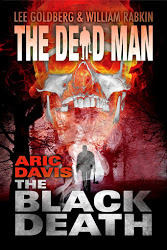 The Goldberg and Rabkin posse manages to add some new blood with The Black Death by Aric Davis. A writer with several books, mostly horror and thriller, Mr. Davis lists his occupations as body piercer and punk-rock aficionado. Which has to be a tough job: putting a ring through someone’s nasal septum while they pogo to The Stranglers. In this episode, Matt Cahill, the traveling reborn avenger, has a motorcycle break down in southern Indiana. He’s given a ride into the local town by a friendly sheriff only to watch a freaked-out meth head attack a store owner. Someone’s created a very deadly form of black meth and is peddling it around. The local toughs, known as “The Redneck Mafia” are making bank shuffling it around, but some people have a bad reaction to it. The “go feral” and turn into superhuman killing machines. 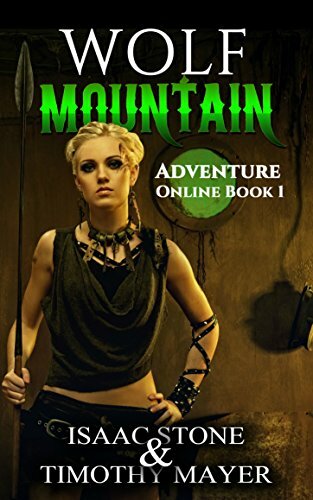 It’s up to Matt and his divine ax to go after the source of the black meth, with his enemy, Mr. Dark, popping in to add comments. The Black Death is one scary book about the dangers of drug addiction. The victims of this virulent strain of meth go black in the eyes and lose all signs of humanity. Even Matt, who sees the evil people as walking corpses, notices the change the drug brings in people. Toward the conclusion of the book, even the land is becoming infected with the drug. This episode held my attention to the last page. The Dead Man series continues to turn-out some outstanding writing.